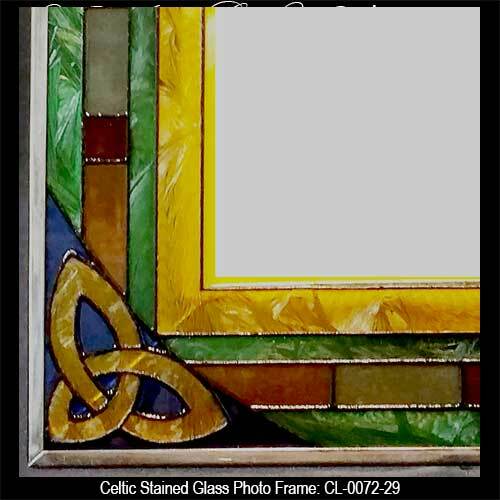 This stained glass Irish picture frame features a Celtic Trinity knot in each corner. Sorry, this Irish photo frame is now sold out. This Irish picture frame may be use for either landscape or portrait orientation and is ready to stand with the included easel. The Irish photo frame features colorful stained glass along with Trinity knots. 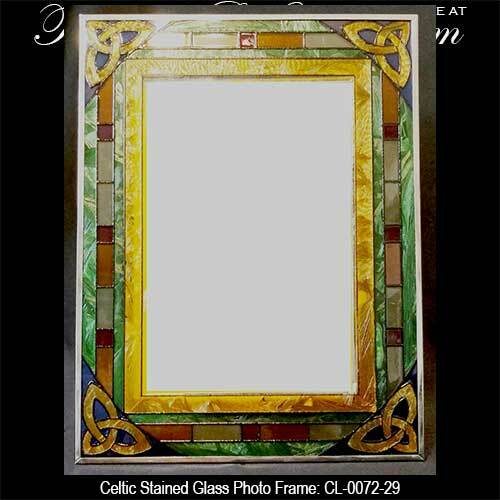 The Celtic stained glass picture frame holds either a 4" wide x 6" tall or a 6" wide x 4" photo and it measures 6 1/2" x 8 1/4" overall. The Irish picture frame is made of glass with a metal frame in Ireland by Clara. 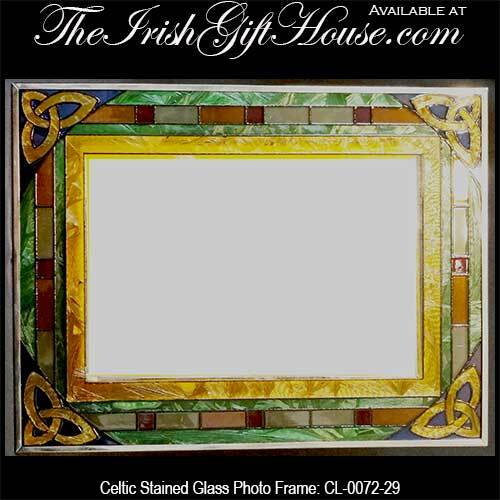 The stained glass frame is gift boxed with a Celtic knot history card that is complements of The Irish Gift House.